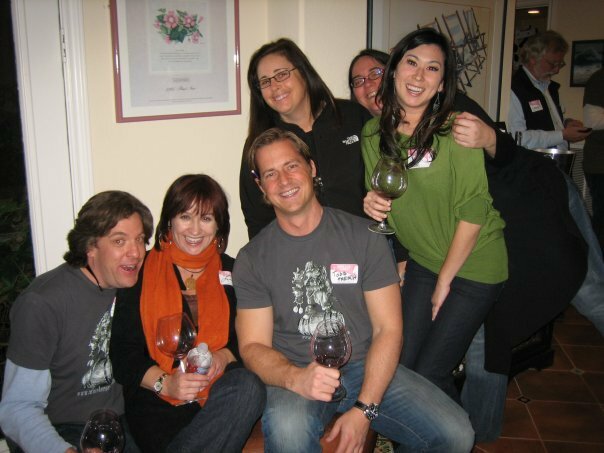 WineBerserkers.com founder Todd French, center. Ten years ago, Todd French launched WineBerserkers.com, an online forum to talk, learn, and discover wine across the globe, purely on a whim. In the decade since, this San Clemente resident and professional cellist has made an indelible mark in the conversation of wine through Wine Berserkers. Berserkers is now the world’s largest online wine community, offering a free location to talk, gather, grow, and even buy. Jan. 27 is the annual Berserkers Day, an anniversary celebration during which wine lovers can purchase wine and wine-related products online from incredible wineries, some of which may be too small for marketing but create exquisite wine. It reminds me of Etsy with artisan wares, but with the beautiful benefit of conversation! Outside of the forum, French connects regularly with OC “Berserkers” at area events like dinners, blind tastings, and fundraisers. I have known of French for years but was thrilled to have a recent personal exchange with him learning of his Berserker beginnings and of his preferred wine haunts in Orange County. Your initial background is in music. How did you land in a wine career as well? As the founder of Wine Berserkers, did you have a goal in mind for this wine community? What has contributed to its longevity? What are some of your favorite events with the Berserkers community in Orange County? What are your favorite locales in Orange County to buy and experience a great meal? Berserkers Day No. 10 starts at 7:30 a.m. Jan. 27.